Net Neutrality Rollback Could Threaten Small Business, Entrepreneurship | Challenger, Gray & Christmas, Inc.
“Net neutrality is the basic principle put forth by the Federal Communications Commission (FCC), which prohibits Internet service providers like Verizon, AT&T, and Comcast from speeding up, slowing down, or blocking any content, applications, or websites the public wants to view,” said John Challenger, Chief Executive Officer of global outplacement and executive coaching firm Challenger, Gray & Christmas, Inc. In 2015, millions of activists pressured the FCC to adopt historic net neutrality rules to keep the Internet free and open – allowing for everyone to share and access information without interference. However, Trump’s FCC Chair, Ajit Pai, has officially launched plans to dismantle net neutrality. After a decade-long battle over the future of the Internet, the FCC adopted strong net neutrality rules based on Title II of the Communications Act, giving Internet users the strongest protections possible. President Trump recently signed what is being called the “Internet privacy bill,” which will repeal vital consumer protections. Polls indicate that more than 70 percent of Americans – from both major political parties – oppose the legislation. Both Pai and Federal Trade Commission (FTC) Chair Maureen Ohlhausen argue that the privacy bill simply treats Internet providers in the same manner other laws and regulations treat online firms, such as Google and Facebook, when it comes to gathering and using data about Internet browsing habits, shifting responsibility for policing the privacy practices of Internet providers away from the FCC and back to the FTC. Net neutrality is the Internet’s guiding principle and preserves the right to communicate freely online. ISPs should provide the public with open networks and should not block or discriminate against any applications or content that pass through those networks. Similar to how a phone company should not decide who you call and what you say, your ISP should not restrict any content you view or post online. “The slicing up and selling of the Internet will make it vastly more difficult for companies to remain innovative. Not to mention the cost to small businesses and entrepreneurs to have access to the Internet,” said Challenger. The Internet without net neutrality would be very different compared to what it is today. Unlike the open Internet that has paved the way for innovation, it would become a closed network where cable and phone companies make decisions for their customers. Many of these providers, both in the United States and abroad, violated the principles of net neutrality before the 2015 protections were enacted. For example, from 2011 to 2013, AT&T, Sprint, and Verizon blocked Google Wallet, a mobile-payment system and competitor of a similar service called “Isis,” which all three companies had a stake in developing. Additionally, in 2012, AT&T announced that it would disable the FaceTime video-calling app on its customers’ iPhones unless they subscribed to a more expensive text-and-voice plan. This history of abuse revealed a problem that the FCC’s 2015 net neutrality protections solved. Now those rules are being threatened by Pai (a former lawyer for Verizon), who is determined to hand over control of the Internet to massive Internet service providers like Comcast, Verizon, and AT&T. The U.S. government has received more than 9 million public comments on their decision to begin rolling back net neutrality regulations, a record response. The FCC “will make a full and fair review of the record,” Pai said during a Senate Committee on Commerce confirmation hearing. 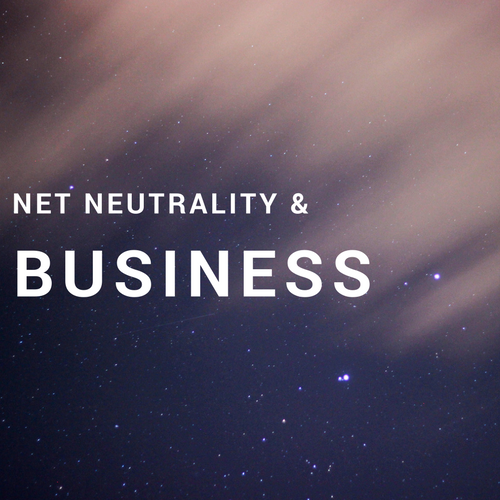 “Net neutrality is crucial for small business owners, startups, and entrepreneurs, who rely on the open Internet to launch their businesses, create markets, advertise their products and services, and reach customers all over the world. The open Internet fosters job growth, competition, and innovation,” said Challenger. Net neutrality lowers the barriers of entry by preserving the Internet’s fair and level playing field – as net neutrality has allowed for small businesses and entrepreneurs to thrive online. After courts rejected two earlier FCC attempts to craft net neutrality rules – the adoption of Title II came into play. This gave users the strongest possible net neutrality rules when it reclassified broadband providers as common carriers under Title II. However, Pai wants to abandon Title II and return the FCC to a “light touch” Title I approach. “Basically, the Internet could be controlled by some of the same companies that violated net neutrality for years before the FCC adopted its current rules in 2015 – as Title I alone would not allow for complete protection. It remains to be seen how ISPs will respond and if consumer and business backlash will keep net neutrality in place,” said Challenger.